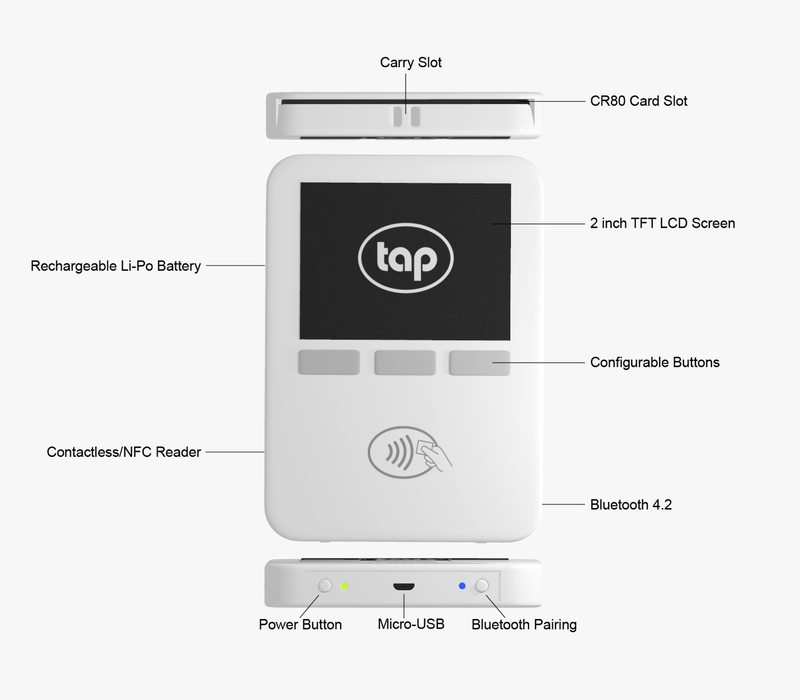 The primary function of the TAP Wallet is to securely access smartcards used to store private keys that enable control of crypto wallets and coins. Separating the sensitive private key from the transaction software reduces the risk of the keys being lost or stolen, and improves security significantly. The wallet connects to most popular computers and smartphones using a standard USB cable or Bluetooth wireless connection, and integrates with many popular software wallets and financial applications. The wallet can process several crypto currencies including Bitcoin, Ether, Dash and Litecoin. The wallet communicates with secure smartcards that have been well tested and trusted by financial insitutions and governments. The Wallet can communicate with both 'contact' and 'contactless' smartcards. With standard use, a single battery charge may last for weeks. The wallet is recharged quickly using a USB cable to a computer, or standard 5V wall charger. A standard USB connection can be used to connect to computers, and charge the rechargeable battery while doing so. A Bluetooth wireless connection is available for tablets and smartphones. Both the Wallet and cards can be individually protected using a combination of PIN and biometrics such as smartphone fingerprint or facial recognition. The wallet can communicate with software on popular computer platforms such as Windows, Mac/iOS and Android. Using the Wallet, cards can be securely duplicated for backup and safekeeping. A variety of crypto coins can be stored including Bitcoin, Ether, Dash and Litecoin. Because each card can be assigned a unique PIN, the actual wallet device can be safely shared between family, friends or co-workers. An unlimited number of cards (accounts) can be used with each TAP Wallet. 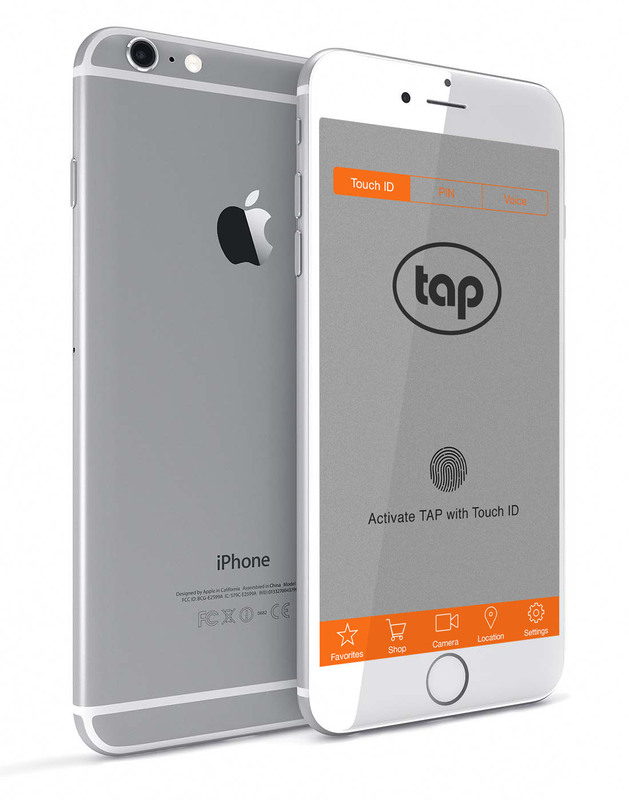 The TAP Wallet tag is manufactured from durable thermoplastic materials, and a 12-month warranty on all parts is available. A variety of protective cases and mounting options are available in a range of colors and materials. Want to be one of the first in line for a TAP Wallet?